So you think social media is just for re-tweeting messages or “liking” your Facebook page? Think again. 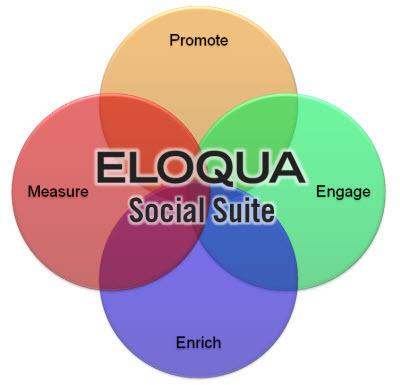 The new Eloqua Social Suite is changing the game. See Social Suite in action: Just sign on below using LinkedIn to get the guide on How to Juice Your Facebook Marketing. You'll also get your own personalized social sign on results to understand the gold mine of social information you could be collecting from your visitors.